1896. From 'Bartleet's Bicycle Book' No. 50. 1897. Exhibit at Glasgow Museum of Transport. c1905. Cycle No. 4. Exhibit at the Hull Street Life Museum. 1893 Mikael Pedersen, a Dane, arrived in Dursley, Glos to work for R. A. Lister and Co who had licenced his design of cream separator. 1894 He developed an innovative form of cycle construction using lightweight multiple triangulated tubing for which he received a patent. His invention was first submitted to Marriott and Cooper, about 1893, and was tested by their manager, A. M. H. Solomon. The experimental machine was very light, weighing only 13 lbs. By 1896 Pedersen had perfected a method of jointing metal which he also patented. This frame design, combined with a novel hammock style saddle, resulted in a unique concept . 1897 Pedersen formed a new company, the "Pedersen Cycle Frame Co. Ltd" with the financial backing of Ernest Terah Hooley, and moved into the old Pin Mill in Water Street, Dursley to produce the new cycle. 1898 Hooley was declared bankrupt. 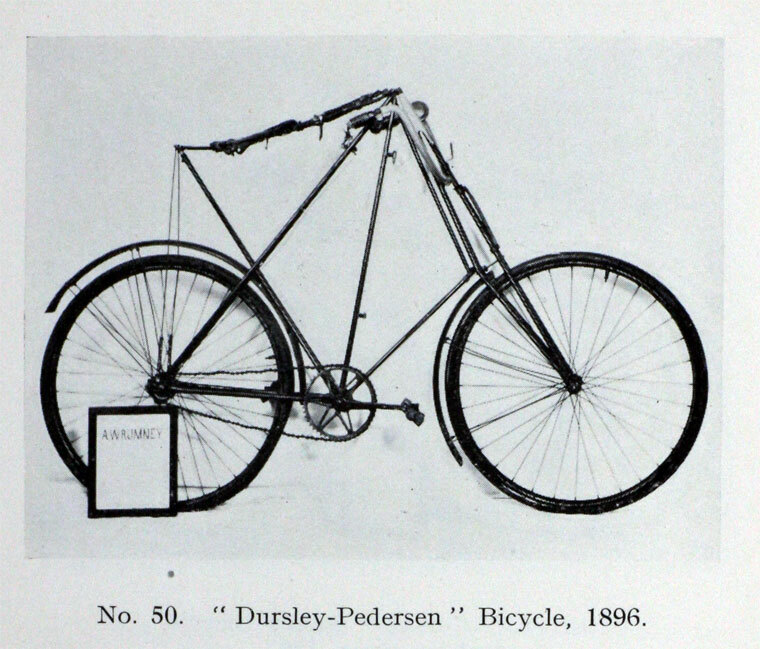 Pedersen found new finance from Lister's, who acquired the patent for the cycle, and established a new company, the Dursley Pedersen Cycle Co., to build the cycles under licence. 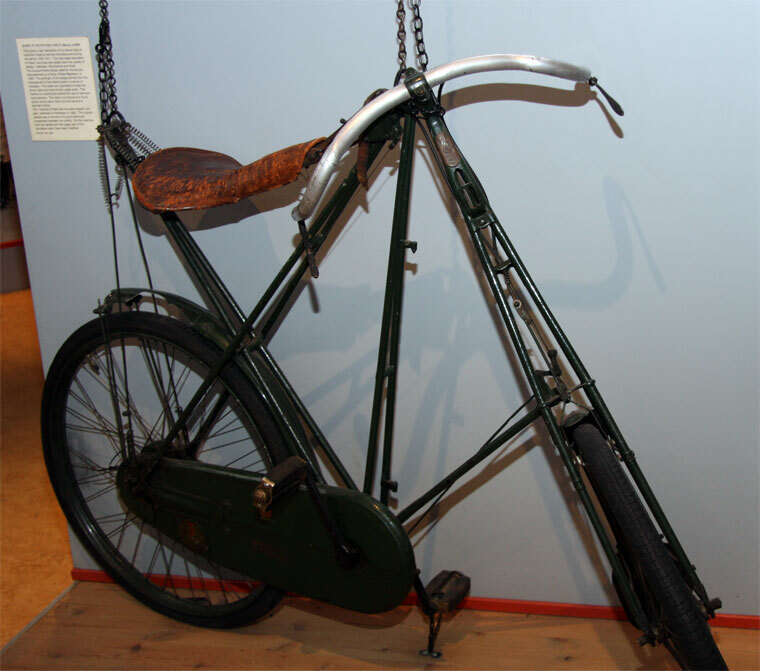 Pedersen produced further designs for military use, for ladies, in low-cost versions as well as racers and tandems. Pedersen invented a novel hub gear, in competition with one from Sturmey-Archer, but this initially proved unreliable. 1905 After a slump in sales, the Dursley Pedersen Cycle Company was taken over by Lister's who redesigned the gear mechanism and resumed production of cycles. 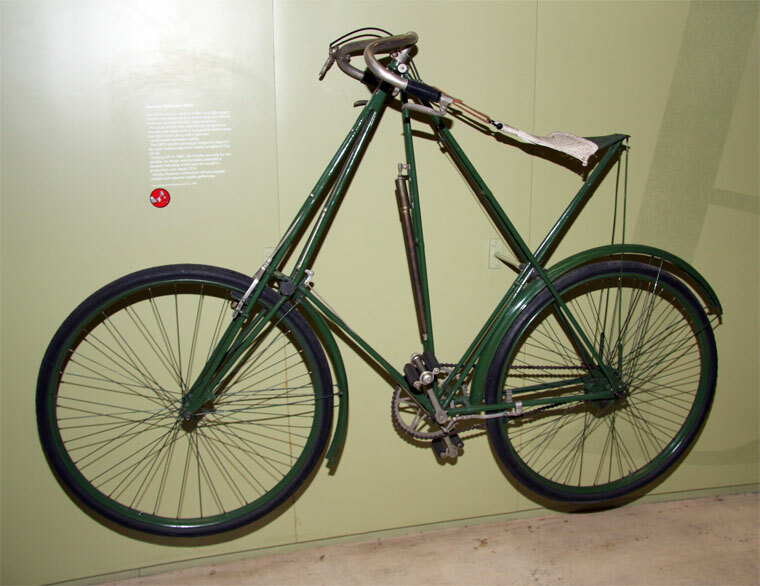 An example of the 'Dursley Pedersen' bicycle (No. 50) was built for, and ridden for many years by A. W. Rumney, the well-known writer and tourist, by whom it was presented to the Bartleet Collection. A letter from Mr. Rumney accompanied the machine: in this he stated that it is the actual bicycle on which he rode to Jerusalem. He also toured on it in France, Italy, Sicily, Spain, Algeria, Portugal, and Scotland. It has a "Pedersen" 3-speed hub, giving gears of 50, 75, and 112.5, and 8-inch cranks. This model is the “Military" pattern, with instantly detachable front forks. Note also Mr. Rumney's ingenious home-made "cape-clip" on the fork-blade. Weight: 32 1bs. The "Pedersen" frame employs the cantilever system, which is well known in all branches of engineering. Examination will reveal that every tubular member, comprising the frame, takes a compression stress only: thus the tubes can be made of very light gauge. In some of the earlier "Pedersens" the frame tubes were soft-soldered into the lugs. After the take-over by Lister, Mikael Pedersen concentrated on other areas, including a new motor cycle using his cycle frame geometry but it was not a success . This had a single-cylinder engine designed by W. J. Barter. Few of these were sold. Barter went on to design a flat-twin engine, which eventually evolved into the Douglas make. By 1917, sale of cycles by Lister's ceased. 1921 All stock was sold to a London company who continued selling the cycle for a few years. This page was last edited on 3 February 2018, at 00:26.